"But the saints of the Most High shall take the Kingdom and possess the Kingdom for ever, even for ever and ever" (Daniel 7:18). 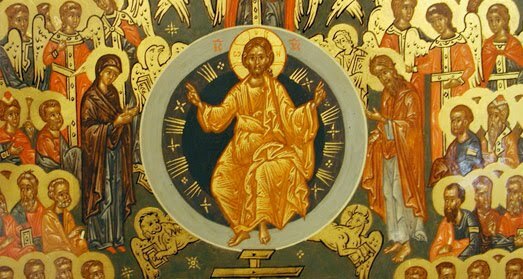 Abased and oppressed in the kingdoms of the world, the saints will reign eternally in the Kingdom of Heaven. The last on earth, they will rejoice as the first in heaven. Hungry, thirsty, barefoot and naked in the transitory kingdoms, they will be like king's sons, satisfied and clothed in royal raiment in the enduring Kingdom. Strangers in the kingdoms of decay, they will be lords in their Kingdom, the Kingdom of Incorruption. This is the final Kingdom; in truth, the only kingdom that can be called a kingdom. All others are transitory, temporary schools of deceit and vanity. For the Eternal Kingdom, the saints were recruited on earth from the citizens of all earthly kingdoms through the ages. They are the sons and daughters of Christ the Savior, the children of the Living God. They are those who have passed from this life to the other life and who now reign. But all the splendor and all the majesty of their reign has not yet been revealed. This will be displayed after the Second Coming of Christ, the Judge of the living and the dead. Then will all the splendor and all the majesty of the Kingdom of the saints be shown. This is the Eternal Kingdom of Christ our God. Of this Kingdom there will be neither change nor end for ever, even for ever and ever. O Lord Jesus, the Builder of the Kingdom of the saints, have mercy on us sinners and prepare us for the Eternal Kingdom of Thy saints. To Thee be glory and praise forever. Amen.